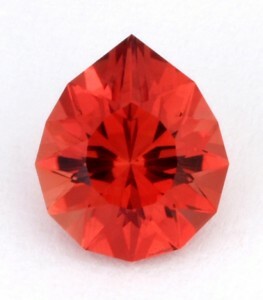 I receive lots of questions about Sunstone, and an inquiry from Philip Pegg, a colleague in the UKFCG, inspired me to detail a few things about this extraordinary gem material. Although this is written primarily for fellow faceters, I think fee-diggers and jewelry buyers may find the information useful. With an RI very close to Quartz, it moves light nicely, and doesn’t require any adjustments to the vast number of Quartz-RI designs in publication. 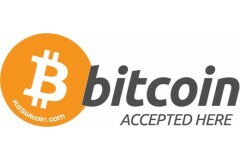 It’s available in decent sizes, a range of colors, and can be acquired for very reasonable prices in the current rough market. 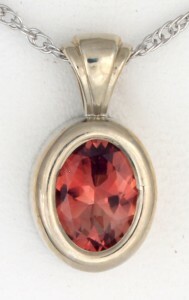 Sunstone has crystal features, and appears with decorative inclusions that can often be exploited to marvelous effect, and one-of-kind presentation! 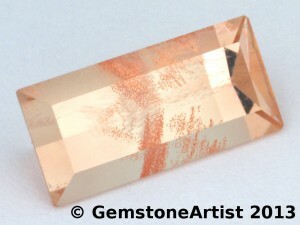 The hardness/toughness makes Sunstone fast and easy to cut. And, it’s usually easy polishing, either with diamond compounds, or using oxides like Cerium, Zirconium, or Chromium. This sequencing is usually very fast and trouble-free. 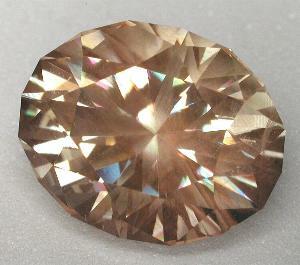 Sunstone isn’t prone to excessive sub-surface damage in the way that materials like CZ are. 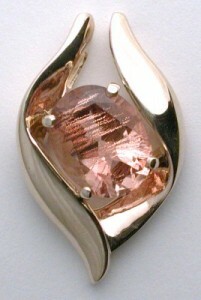 Sunstone is not heat-sensitive. 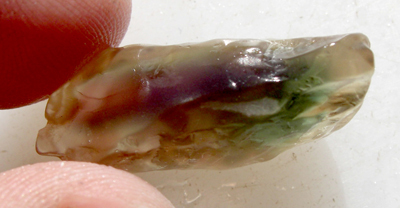 Clean gems (no basalt inclusions) can even be cast-in-place! So, there are no problems with hot dopping, transfer, or release. 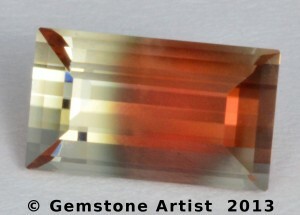 All that said, Sunstone can be one of the most complicated materials to cut WELL. This makes it one of the most fun, challenging, and satisfying materials – as well as one of the most instructive for building faceting skills. This is because Sunstone has at least six major challenges that offer stellar learning opportunities for the faceter building his skills – all the way from the most basic level to the most advanced. Those challenges may appear individually, or in any combination! 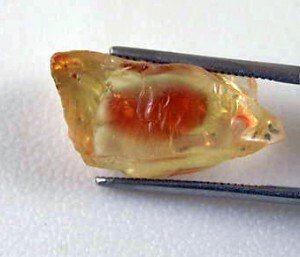 Sunstone tends to be fractured, because it appears in elluvial deposits (lava flow), and has a different coefficient of thermal expansion from the host lava. So, once-massive crystals tend to get broken by the crushing forces as the lava cools. 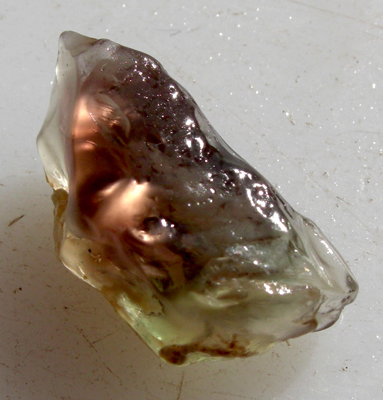 The host rock is also often quite hard, and extraction efforts may further break the gems. Thus, we often wind up with roughs of odd shapes or proportions (more so than many other gem materials). Here’s where we build skills for orienting the rough for shape, modifying optics, and inventing other ways to maximize recovery. That may mean finding clever ways for presenting the piece. A faceter who wants to build their skills working with odd shapes or inventing presentations for recovery can do well to practice with Sunstone. 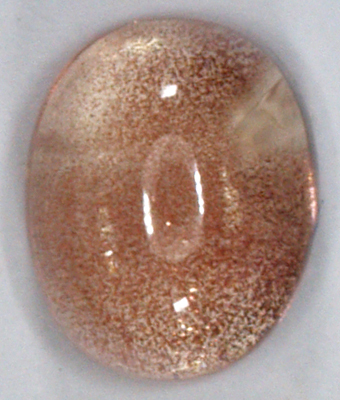 Sunstone has a cleavage, which can occasionally present issues in handling, polishing, and setting. The hardness zoning can challenge the ham-handed faceter, helping them to find a more sensitive cutting style. When near cleavage, a facet may sink like butter. That index should be remembered at pre-polish stage and be worked carefully, possibly slightly under-cut to allow for extra polishing. Impending polishing problems will usually give warning at the pre-polish level, when facets may show an odd, dull appearance compared to adjacent ones. 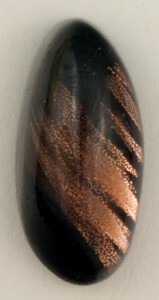 Polishing issues can often be managed merely by reversing the direction of lap against the facet. Though, sometimes it’s required to use a finer pre-polish step and a light touch. 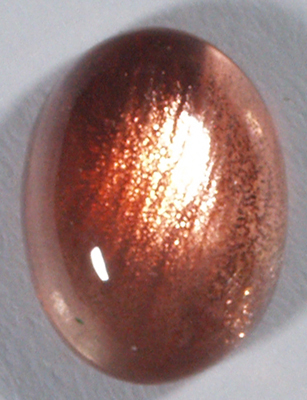 By comparison, I find polishing dead-on the cleavage of Sunstone far less challenging than doing that with Topaz. A faceter who wants to build sensitivity and consistency in their cutting and learn to deal with cleavage and polishing issues should work with Sunstone. They’ll find a good intermediate level of challenge practicing with an affordable material that finishes with attractive stones. To preserve and present color to best effect (60%+ of value), careful study and planning are required. Maximizing color presentation will test the faceter’s skills of orientation, precise dopping, and error-free cutting. Sunstone is an ideal material for building these skills. Any given gem material will tend to be either lighter or darker in tone and saturation than ideal. For instance, much Aquamarine is lighter in tone and saturation than ideal, while much Almandine Garnet is darker than ideal. 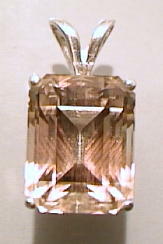 Thus, managing color tone and intensity through selection of design elements is one of the central skills of faceting. However, this skill is not often formally taught or intentionally practiced. In most Sunstone, tone and saturation are lighter than optimal. This gives us the chance to practice design-based strategies to capture or intensify color as much as possible. 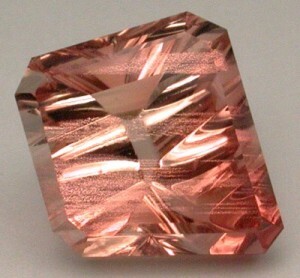 Sunstone has a triclinic crystal habit. That makes it biaxial (two optic axes), and enables it to be trichroic. 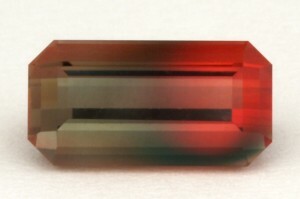 Some Oregon Sunstone will present as red-green dichroic. 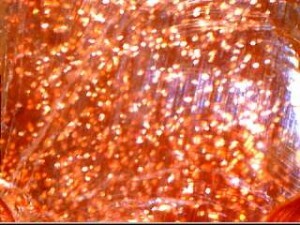 Most will only appear as red-red, or red-champagne. 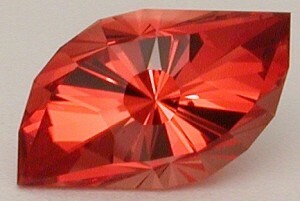 Directional orientation can be important for best color in a red-red or red-champagne stone. Orientation is critical in red-green stones to prevent the colors mixing into an unattractive muddy color. Managing color directionality is far more complicated and challenging in biaxial systems than in uniaxial ones (e.g. Tourmaline). 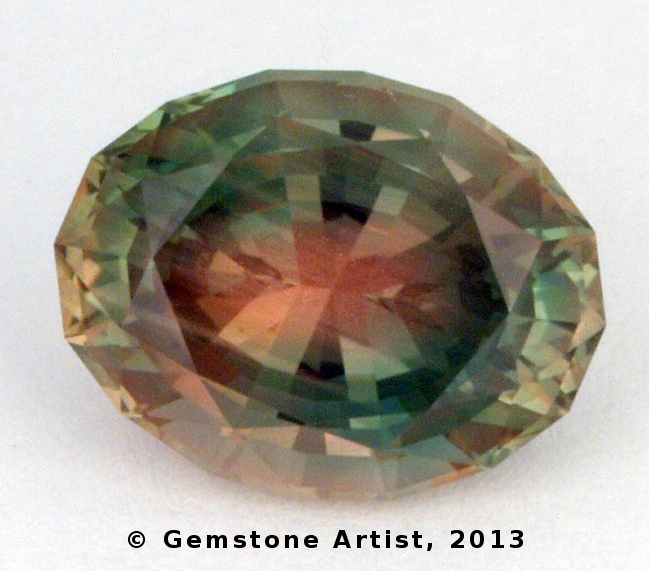 Here’s a one-minute video showing some stages of cutting a strongly dichroic red-green Oregon Sunstone. 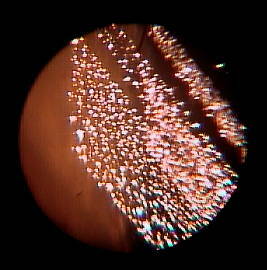 The video begins showing the rough from different directions. During the video, there are views across the pavilion from different directions, in turns showing a mixed muddy color, a red color, and a green color. 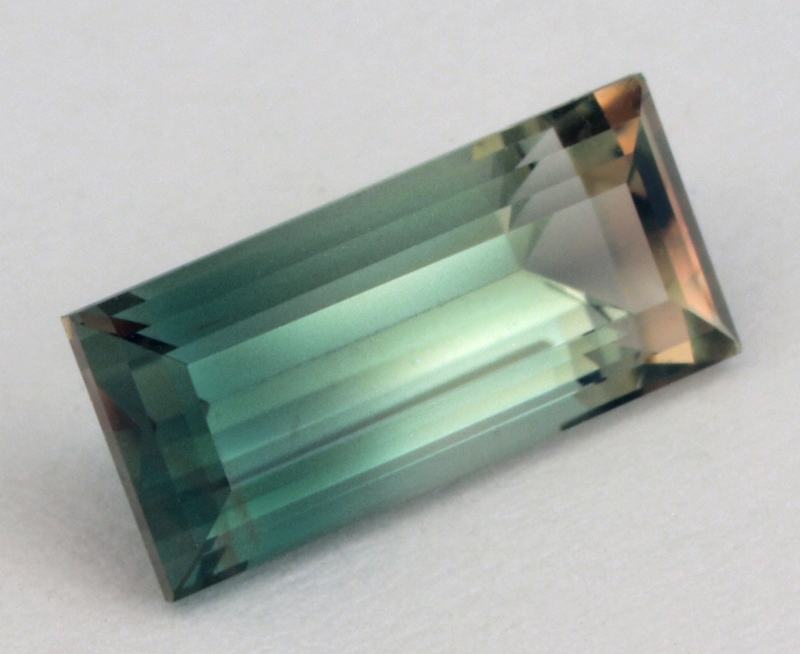 The video concludes showing the finished gem presenting a pure and deep green color even when tilted. 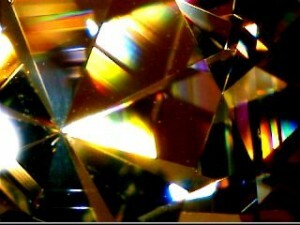 This can only be achieved with very precise and correct orientation of the gem. I hope you enjoy. Oregon Sunstone may have a variety of inclusions. Some are problematic and some can be quite decorative. 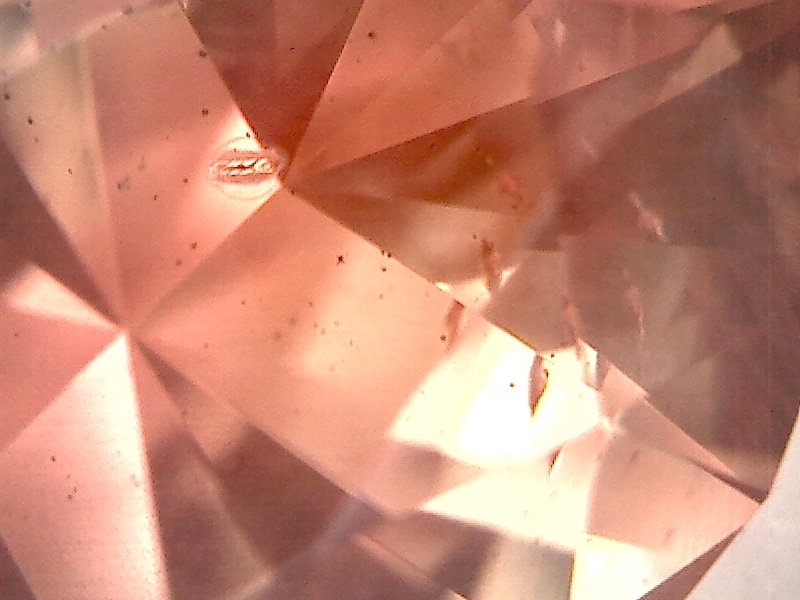 We commonly find three kinds of inclusions: schiller, basalt, and included crystals. 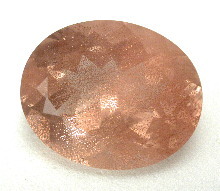 Schiller are platelet-shaped elemental copper crystals that exsolved from excessive copper in the solid solution. Schiller may appear in a snow-like semi-random presentation. 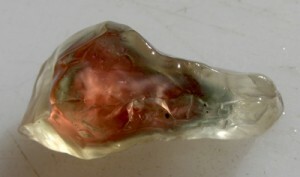 More commonly, schiller appears oriented to the crystal structure, like Rutile silk in Corundum. Also like Rutile, Schiller may help to move light about in a useful way. It may be decorative. Or, it may impair the movement of light in a way that degrades appearance and value. Semi-random “snow-flake” distribution that looks like a blizzard. 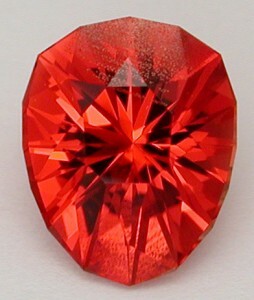 The gem contains enough particles to largely block good light penetration and reflection from facets. Also, the particles aren’t oriented to each other well enough to allow presenting the Schiller itself as a decorative feature. Colloidal Schiller, distributed like fog. This will make the stone look “sleepy” – due to killing the sparkle, even if some light can reach the pavilion and back. 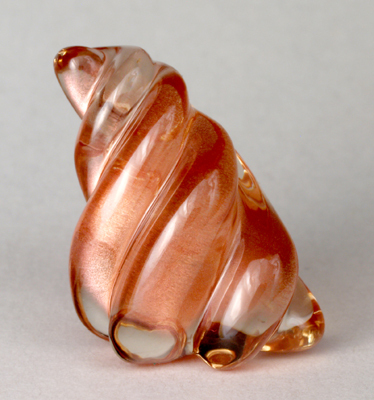 Imagine a “sleepy” Rose Quartz – which is often dull for the same reason: colloidal inclusion. Searching unsorted Sunstone rough is an opportunity to practice the specific lighting and evaluation techniques we use to determine how much is too much, and to spot colloidal inclusion issues. If the amount of Schiller inclusion blocks so much light that it would kill reflections from the pavilion, that rough isn’t useful for faceting. 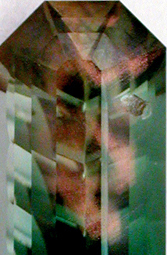 When we encounter that much schiller with the particles aligned to reflect light in a coordinated way, we can cut a striking cabochon or carving. Such pieces can be optically amazing. When Schiller appears in stripes, or interesting patterns or shapes, we can present it under the table to display it directly. Alternately, we can place it within the pavilion to create unique decorative reflections. Either of these presentations can result in one-of-kind finished gems. Mild amounts of “snow flake” Schiller can also be decorative, warming an otherwise colorless stone with an orange coppery glow. 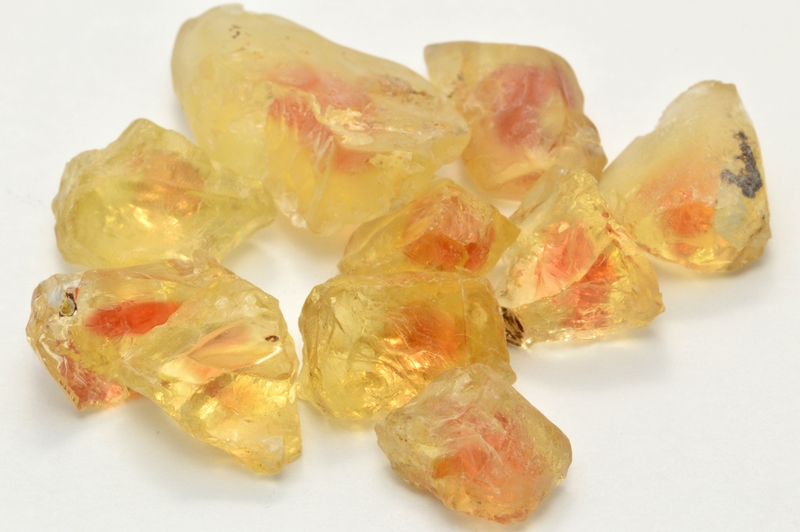 Oregon Sunstone provides the chance to work with decorative inclusions and make some great one-of-kind pieces from really affordable rough. When Schiller is not too intense for faceting at all, but isn’t useful to contrive a “racing stripe”, it’s just like any other gem inclusion – a distraction we’d rather do without. And, the same techniques of orientation and design component selection should be used to manage it. Learning to hide inclusions in inexpensive Sunstone will pay dividends later when you’re working with Sapphire or other expensive rough. Bits of basalt and included crystals (usually Olivine) may also be found in Oregon Sunstone. And, we manage those just as we would in any material: cut them out; use them for decorations; or conceal them as best as possible. In any case, you don’t want them breaching a facet, as both Basalt and Olivine are harder than Feldspar and will usually present really nasty polishing issues. 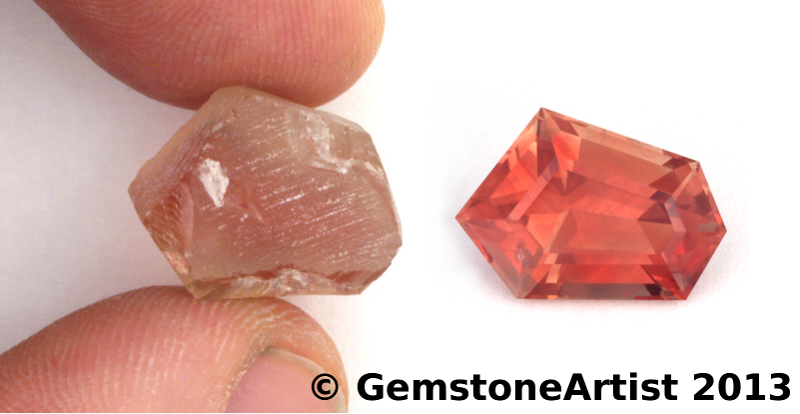 Sunstone can be one of the most complex and challenging – and therefore one of the most instructive and rewarding – of gems to work with. 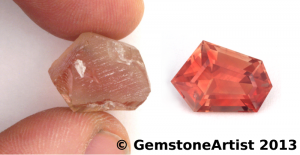 No matter what skill level a lapidary artist happens to have, Sunstone can provide fun, satisfaction, and one of the best learning opportunities to be found. I hope you enjoy some soon.